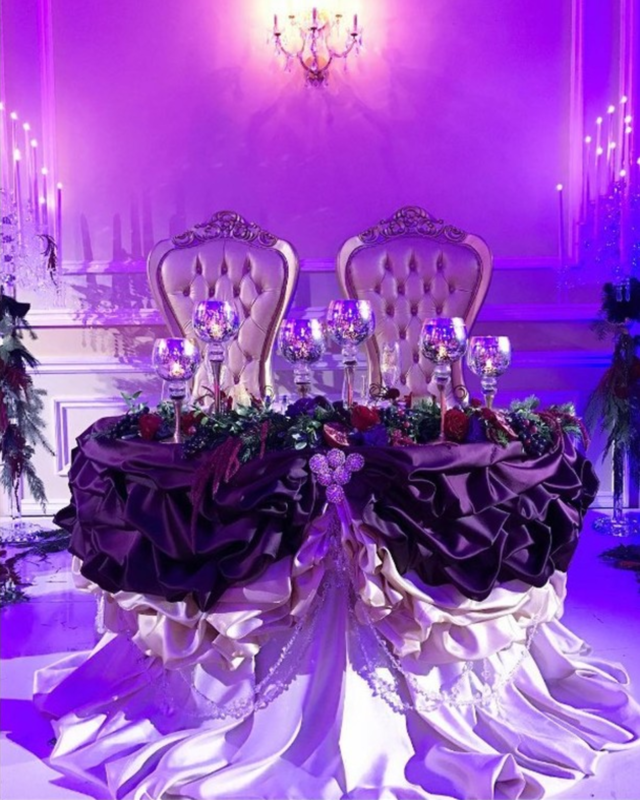 The PHANTOM of the OPERA sweetheart table! #glowconceptsfinelinens #floruniquedesigns: Florist #Jenna_engagedevents: Wedding coordinator. #taglyancomplex "Katherine Crystal Candelabras"